(Caldo Verde) Traditional Soup w/ Potatoes, Kale and Portuguese Sausage. Parmesan Cheese, & Olive Oil. (Belem Pastry) Traditional Portuguese pastry puff with custard filling. *Taxes & gratuity not included in menu price. 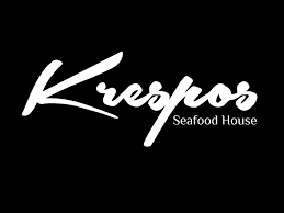 Krespo’s Seafood House opened in 2014 and is located a block behind Canton Street in Downtown Roswell. The menu is the creation of Portuguese Chef, Lino Krespo, and includes both quality interpretations of classic dishes from Portugal and some ventures into New World cuisine. Housed in what once was the famous Roswell Tea House, Krespo’s cozy dining room makes you feel like a guest in the Chef’s house while the full bar seats 14 and airs all major sporting events. Whether on a first date, an anniversary dinner, or simply craving some wine and cocktails, you want to try Krespo’s.